Pt. Koa Global Mandiri provides consultancy and marketing services to support the USCIS (United States Citizenship & Immigration Services) EB-5 Program. We aim to guide our clients in their entire investment-to-immigration process, from choosing the right project to invest in, to settling in their new place of residence in the United States. Koa GM also help global entrepreneurs – who do not have an intention to obtain permanent residency – in finding beneficial landed property investment opportunities in America. Our years of experience in the colorful Hawaiian Islands region, and network of local professionals with the know-how of starting and completing large scale construction projects in the State of Hawaii, allow us lead our guests to successful and profitable investment opportunities. 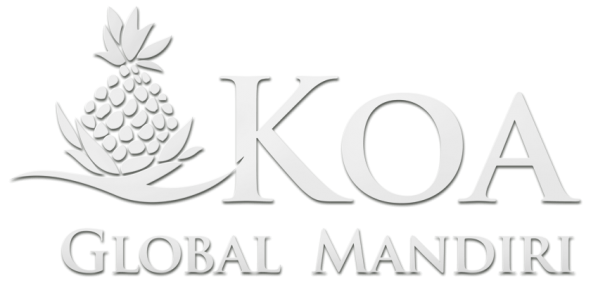 Koa team has successfully completed two previous immigrant investor projects, both located in the meeting point of the Pacific, Hawaii. The overseas investment consultants and U.S. immigration advisors of the Koa Group helped over 210 individuals so far, in first, making an investment with a zero-risk financial plan, then, completing all necessary documentation and finally, obtaining their green cards. All of these investor families are now enjoying the benefits of holding permanent residency in the U.S. Besides the two EB-5 projects, the Koa Group also handled a number of commercial building and landed property development projects in the State of Hawaii. Pt. Koa Global Mandiri, the Indonesian affiliate of the Koa Group, brings the services of the experienced EB-5 team to Indonesia, for families who are interested in starting a new life in America through a direct investment process. Pt. Koa Global Mandiri is a member of the American Chamber of Commerce in Indonesia. Our founders’ over 35 years of construction finance and internationally funded project management experience, allow us to present our clients with well-established and well-calculated overseas investment opportunities. Our founders have provided financial planning and management services for both residential and commercial projects as licensed general contractors in the states of California, Hawaii, Nevada, Arizona, and Colorado. They successfully directed numerous construction, renovation and real estate development enterprises and, to this day, completed projects which in total worth more than $500 million. Hawaii, the meeting point of the Pacific, is waiting for you to take your next big step towards a new life in America. Let us help you create a real value for the future through fresh, safe and fruitful decisions. Join us and experience the spirit of Aloha!